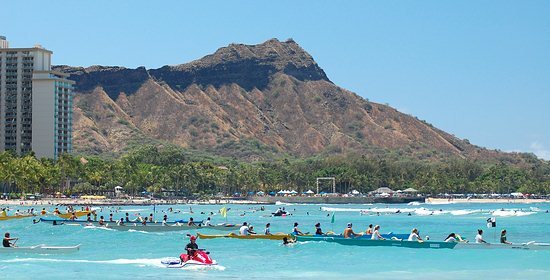 The Hawaii Community Development Authority has just posted an updated list of project activity in the Kaka’ako Community Development District (KCDD). 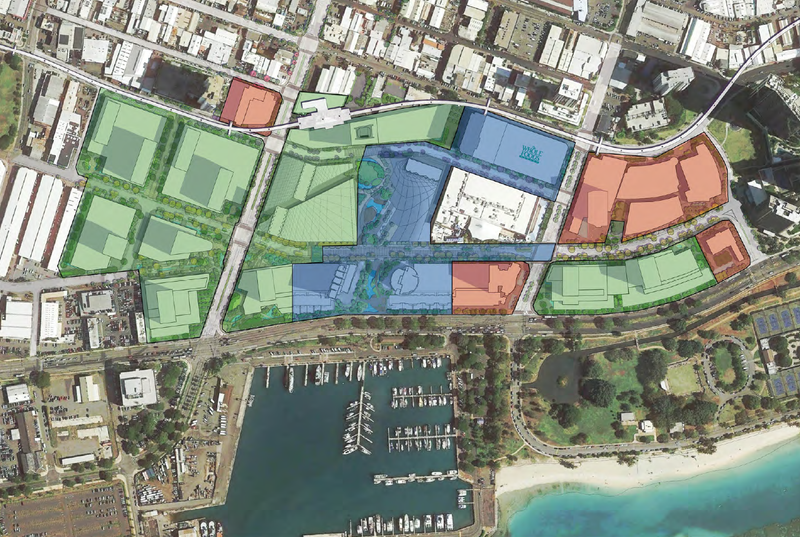 Four Kakaako projects totaling 1,541 units are under construction, including Waihonua (A&B), 801 South Street (Downtown Capital LLC), Symphony Honolulu (Oliver McMillan), and the Waiea tower at Ward (Victoria Ward/Howard Hughes). 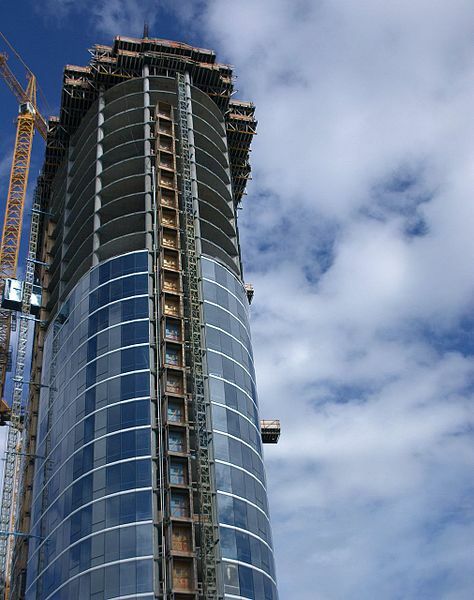 Nine additional projects totalling 2,587 units have also been approved. I was a little surprised by the results of this analysis. My experience with the high end residential market is that marketing times of over one year are not uncommon (and at 18.6 percent, its not exactly unheard of, but certainly not the norm). 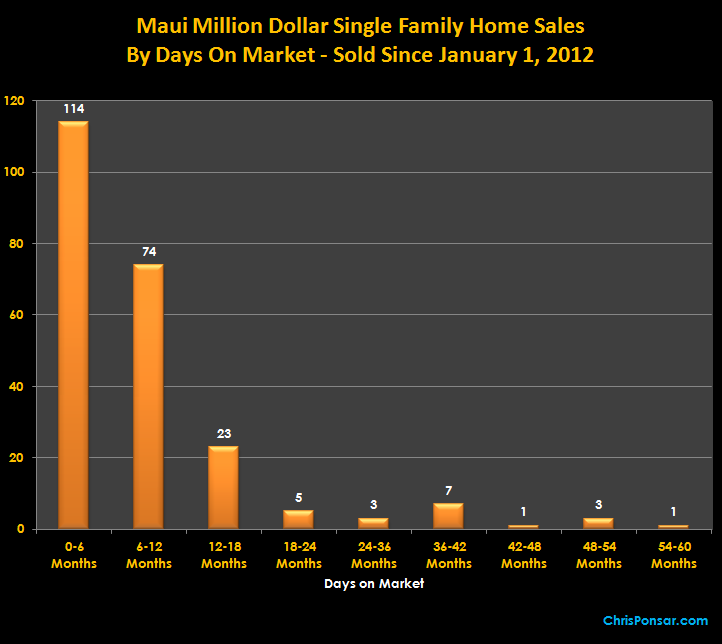 I suspect two elements are at play: (1) the “under 3.0 million” market is probably responsible for the majority of quick sales, and (2) the Maui luxury market has been heating up, especially since January 1, 2013–fueling absorption. 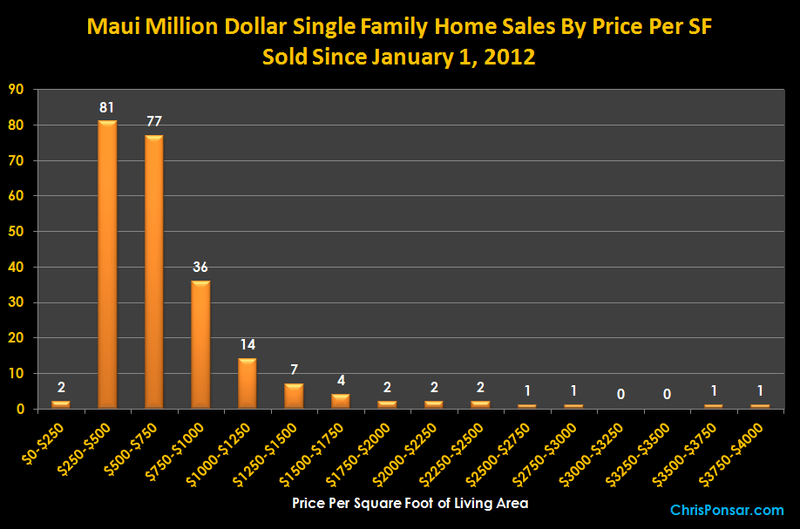 Bottom Line: Price your Maui million dollar+ home right, and it should sell in under a year. 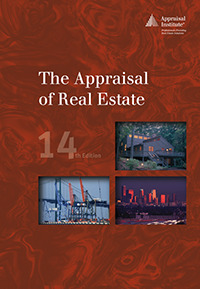 An opinion of the amount of time it might take to sell a real or personal property interest at the concluded market value level during the period immediately after the effective date of an appraisal. Marketing time differs from exposure time, which is always presumed to precede the effective date of an appraisal. 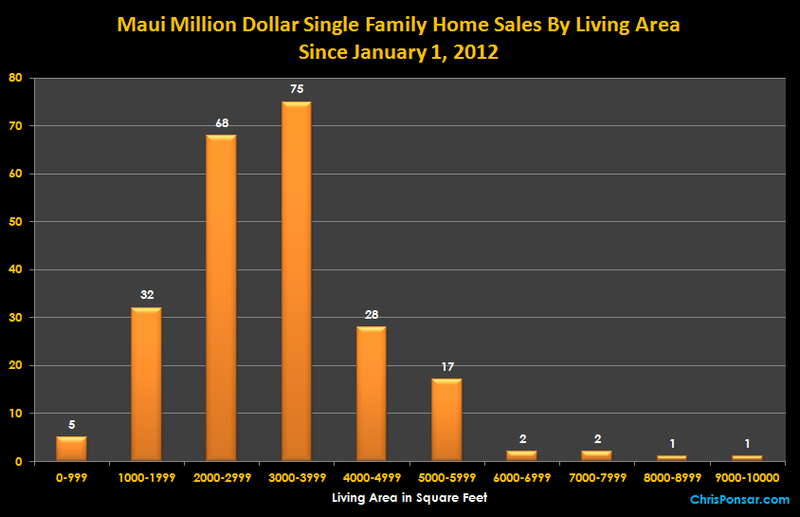 More than 90 percent of Maui’s million dollar home sales in the study period fall in the “price per square foot” range of $250 to $1,250, with the $250 to $1,000 range accounting for 84 percent of the transactions. 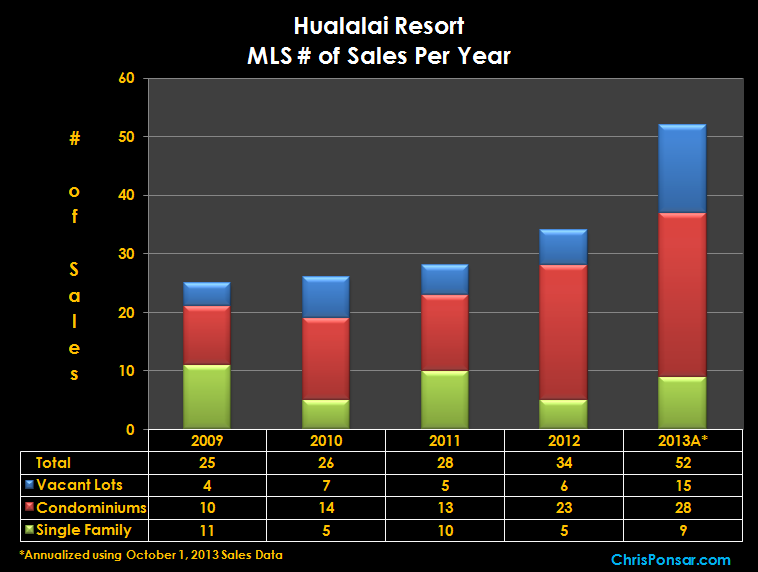 Maui real estate agents that are active in the luxury sector report that the high-end/luxury market typically begins at the $1,000 per square foot level. The sub-$1,000 data shows how raw demand for Maui residences generates a great number of high dollar ($1.0 M plus) sales for “less-than-luxury” homes. The two sales that cleared the $3,000 per square foot level did so for different reasons: one was a prime white sand beach home on South Kihei Road that sold for $23.0 million. The other was an older/smaller cottage on an amazing 1.1 acre oceanfront lot near Paia–the high price per square foot of living area was due to the largely insignificant improvements on a very valuable piece of land. Bottom Line: At least on Maui, a million bucks doesn’t go as far as it used to. At these prices, it is easy to see how a Maui real estate appraiser could be regularly confronted with homes that sell for prices that easily exceed Fannie Mae, Freddie Mac, and FHA conforming loan limits. 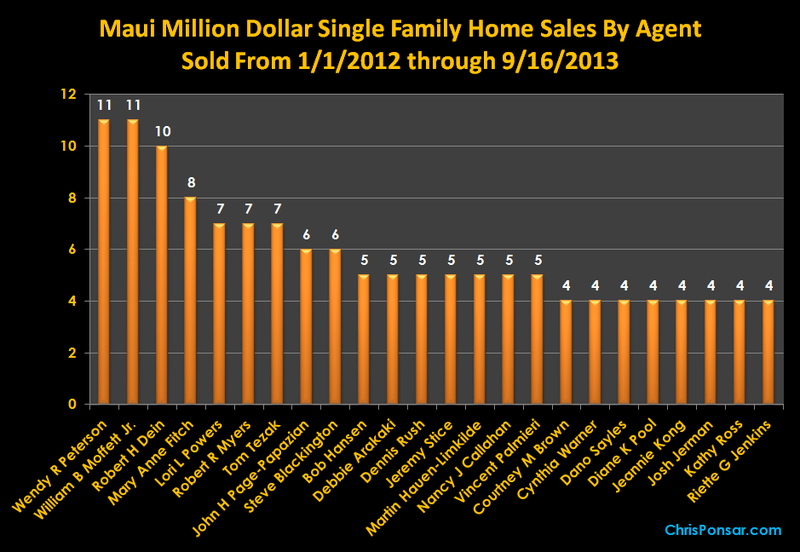 Maui Million Dollar Home Sales ($1.0M+) – Day 4 of 10 – “Who Sold Them”? Bottom Line: This is the big time. No analysis required. This data speaks for itself. We’re talking about real estate professionals at the top of their game here. 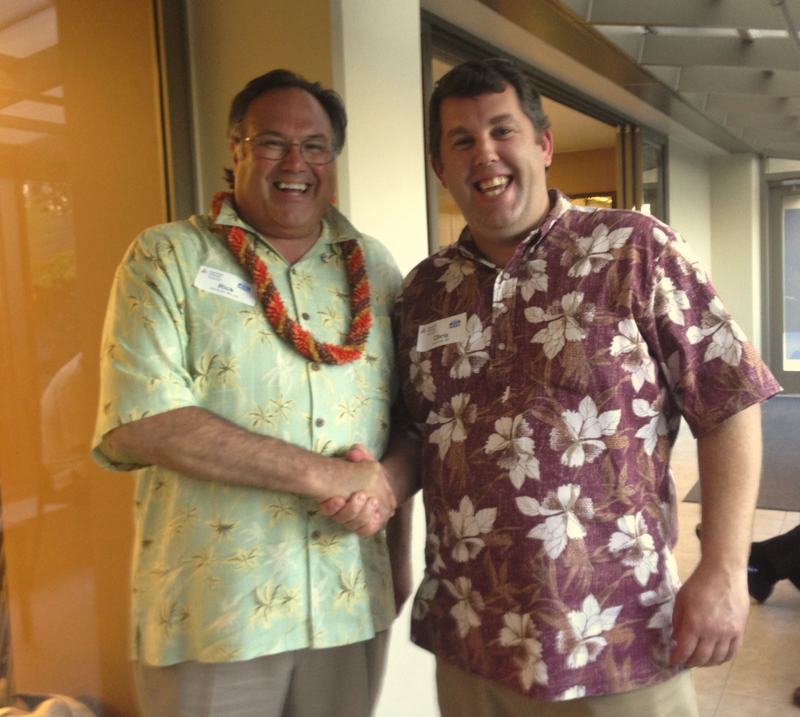 They all deserve aloha and praise! The data shows a predictable trend, with more than 80 percent of the “one million plus” sales on Maui being in the “under $3.0 million” price range. 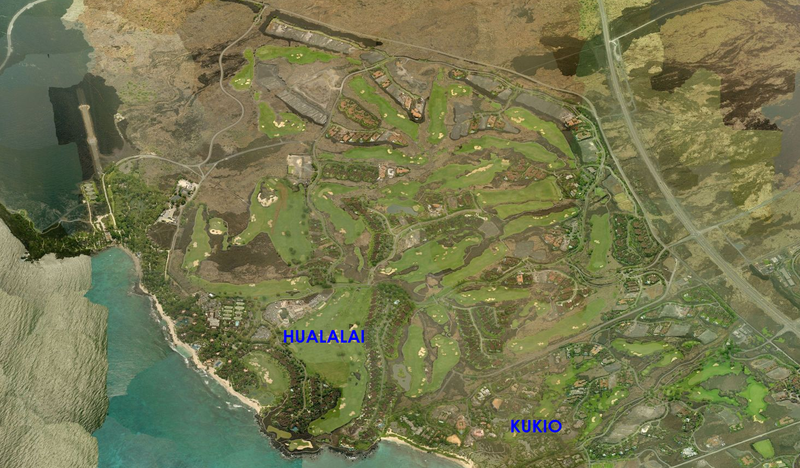 Although a handful of high profile Maui luxury homes have sold in the past few years for prices in excess of $20.0 million, MLS records show only one residence eclipsing $10.0 million since January 1, 2012. 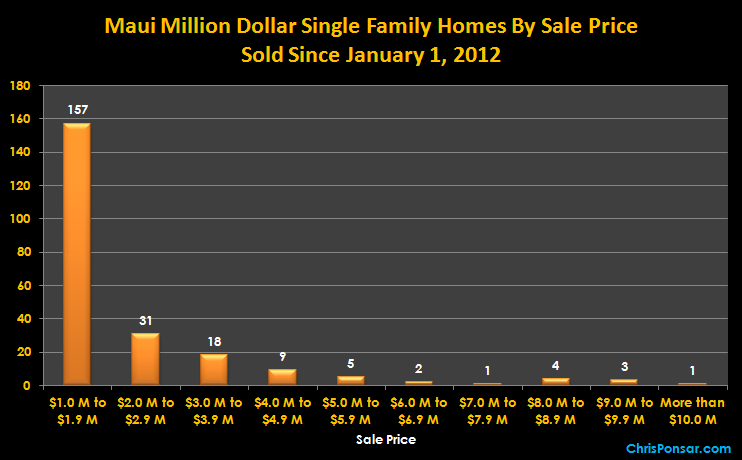 There is healthy market activity in Maui’s “million dollar plus” category, but the overwhelming majority of sales (nearly 90 percent) sold for less than $4.0 million.